A crisp char and salty ocean spray fill the air. The sun is setting behind you, silhouetting the countryside. You dig into a scallop, still in its shell and grilled to perfection as you sink slightly in the sand and gaze out across the water. This hasn’t been just a vacation to Vietnam—you’re on the homestretch of a nine-day discovery of one of the world’s most delicious destinations. You’ve met local artists, sampled street food from the back of a scooter, danced into the wee hours at a private DJ set by the very same chef who’s just prepared one of the most amazing dinners for us. Many people have visited this magical place. Nobody has experienced it quite like this. 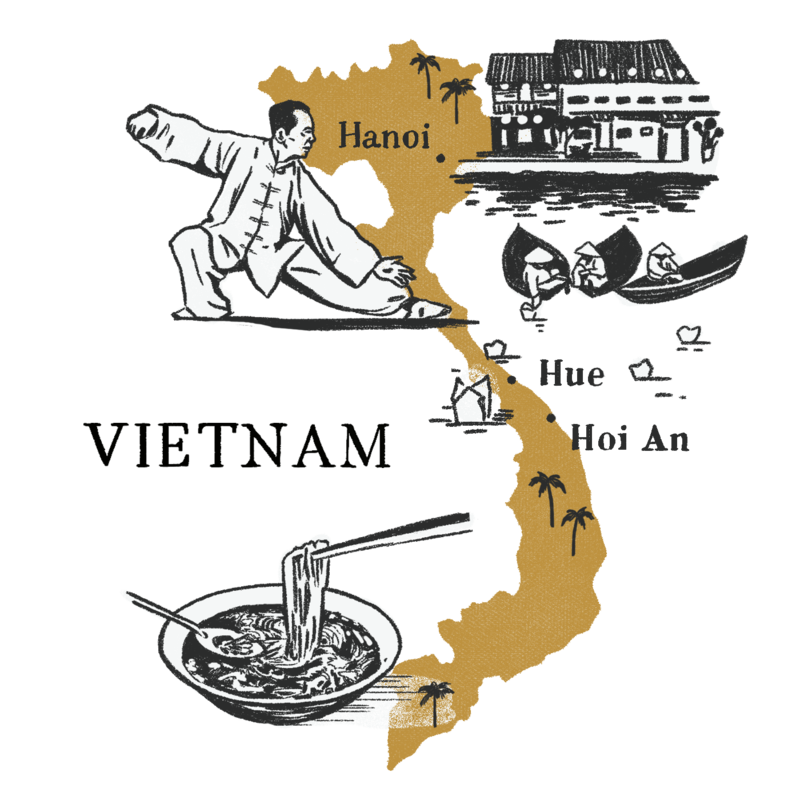 We’ll experience Vietnam in amazing company—chef Jason Neroni of southern California’s iconic Rose Venice. His years of experience in kitchens across the U.S. and Europe have always had a strong tie to Vietnamese cuisine. This is his first trip here and he wants to share it with you. 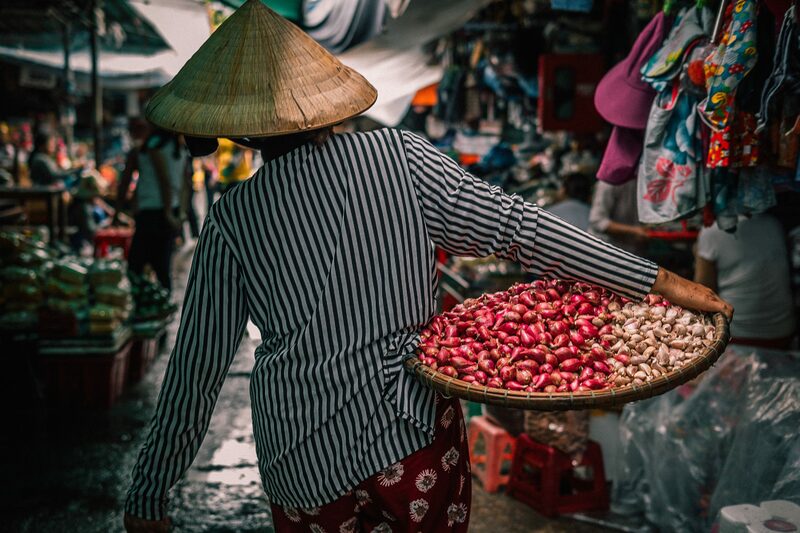 He’s on a mission to explore Vietnam’s regional ingredients and dishes, eat all the tastiest foods, DJ on a boat and have the best possible time! This journey is perfect for the open, curious and willing. 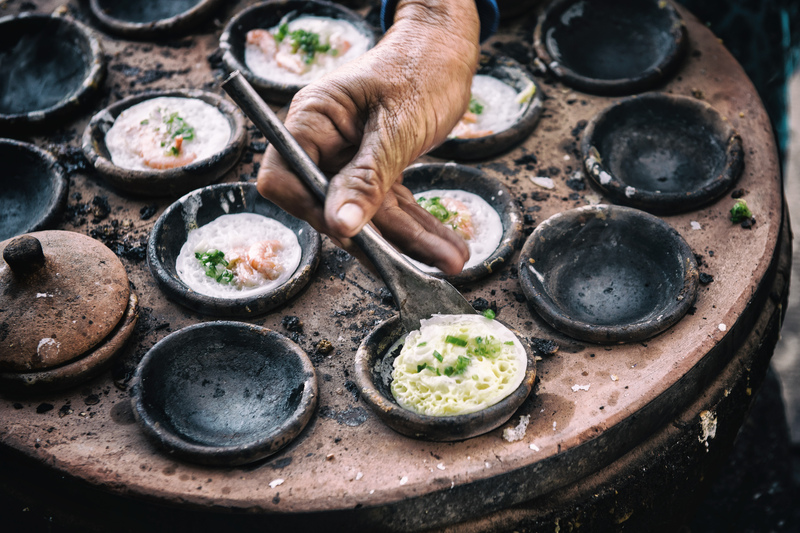 Our incredible itinerary is packed with exceptional local experts and artists, chefs and grill masters—all to share a deeper understanding and appreciation of Vietnam. Join us. Jason Neroni is chef and owner of the iconic Rose Venice in the heart of Venice, California. Jason is not merely a chef, he's a passionate culinary explorer with years of experience in kitchens across the U.S. and Europe. He's also a joyful force of nature at the intersection of food, art and music—as accomplished in the kitchen as he is at a turntable spinning records. Jason thinks about food from every sense, likening it to a composing a piece of music. And he should know—he’s an accomplished DJ in his own right. 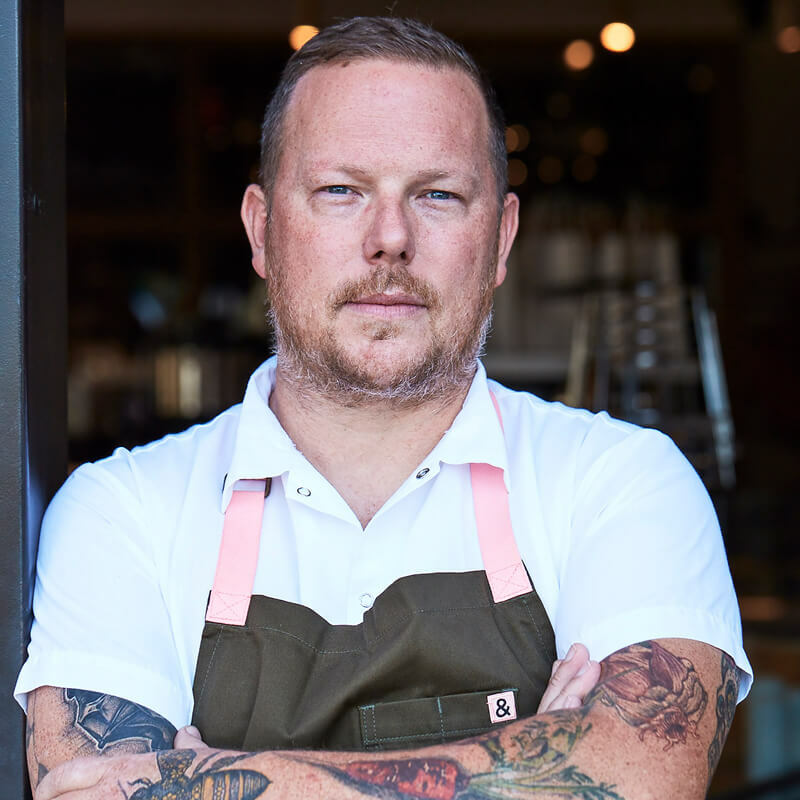 Jason has worked in, and headed up, some of the world's finest kitchens: Chez Panisse, Spago, Le Cirque, Blue Hill, Essex House, The Tasting Room. As culinary ambassador to Spain, he's cooked with some of the world’s most influential chefs at Arzak, Mugaritz and El Bulli. Jason grew up in Orange County's 'Little Saigon' neighborhood—no surprise, he has a lifelong passion for Vietnam. 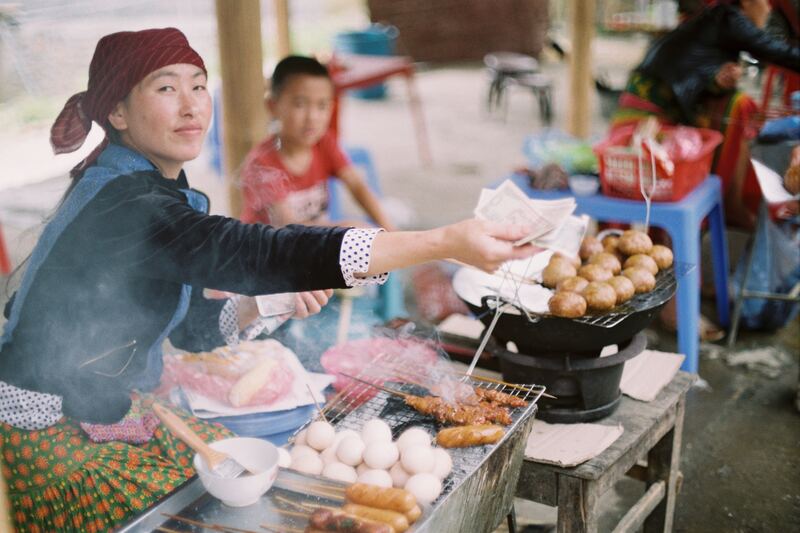 Jason is on a mission to explore Vietnam's regional ingredients and eat all the tastiest street foods. 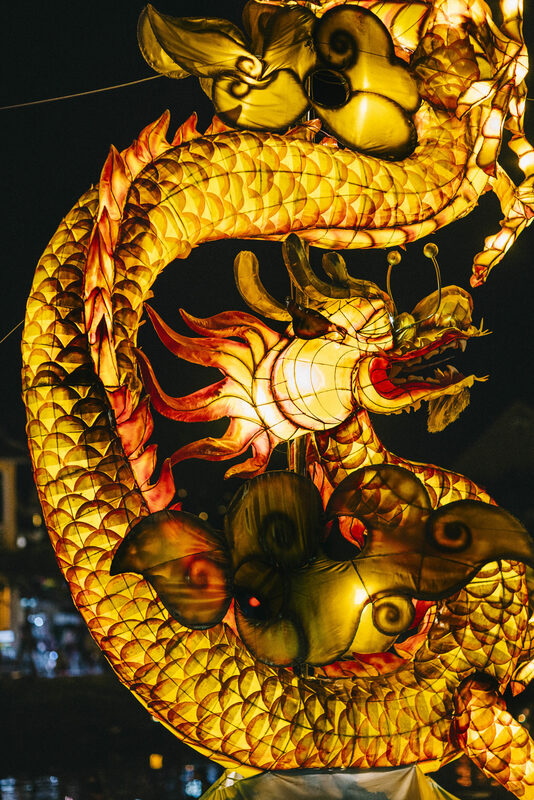 We'll dive deep into Vietnam's regional cuisines and culture, walk ancient lanes in Hanoi, explore Central Vietnam’s Imperial roots, cruise the inlets of Ha Long Bay, and have plenty of time to eat and shop our way through Hoi An’s markets. Welcome to Hanoi, one of Asia’s most picturesque cities! Today is about catching up on its 1,000 years of history, beginning at Van Mieu, or the Temple of Literature, the country’s cultural heart. We’ll pass through its lush courtyards, pillared gates and incense-filled altars dedicated to Confucius. Our lunch today—Hanoi-style bun cha—is a crunchy minced pork served over vermicelli noodles with lemony fish sauce… absolutely one of Hanoi’s most delicious street foods. After some time to relax, we’ll kick off the evening with our own private cocktail event at Art Vietnam Gallery. Suzanne Lecht has been the voice and champion of Vietnamese art since the ’90s, and a drink at her home-turned-gallery is the perfect opportunity to check out some of the country’s finest contemporary pieces. Our final toast will be over dinner at a classic French villa, an architectural wonder with some of the city’s finest haute Vietnamese cuisine, before turning in for a much-deserved rest. We’ll jump into the day with an exploration of Hanoi’s ancient Old Quarter, all gorgeous crooked lanes still lined by centuries-old guildhalls. As we go, a local food blogger will lead us in sampling the best street foods Hanoi has to offer, including pho tiu (Vietnam’s original beef and noodle soup recipe) and cà phê trúng (their favorite creamy egg coffee). We’ll be stuffed, and more than ready for an afternoon of leisure (and possibly a nap). In the evening we’ll see where Hanoi’s famed ‘street beer’, bia hoi, is brewed fresh daily and sold from humble sidewalk stands until it runs out. Our dinner is at one of the city’s most celebrated restaurants, where we’ll feast on French-Vietnamese fusion delights before capping off the night with a rooftop cocktail high above the kinetic city. Today we set out to sea—in every comfort of modernity and beyond. We’ll drive out to Hai Phong to be ferried out to our own private boat. This charter will serve as our home base for the next few days—but it’ll be very easy to get our sea legs on the calm waters. 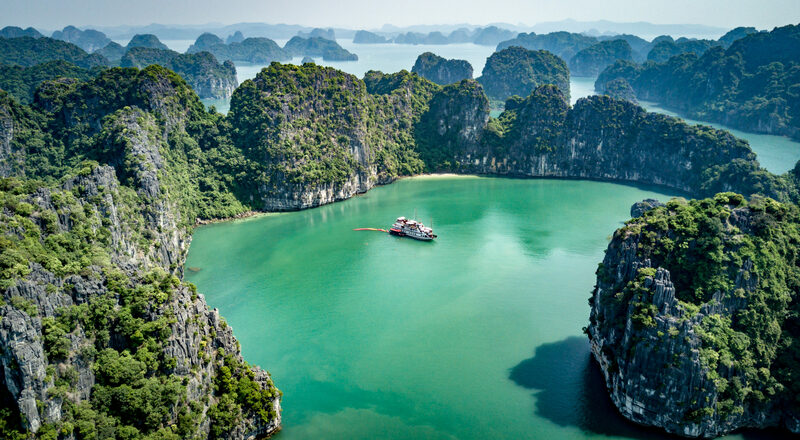 We’ll cruise along Ha Long Bay, famous for its emerald waters and towering limestone cliffs overgrown with ancient rainforest, to the quieter and less-trafficked Lan Ha Bay. Today we travel by sea, land and air. Our peaceful morning on the bay begins with a sunrise tai chi demonstration—there’s no better way to greet the day. With our spirits invigorated, we’ll enjoy a gentle kayak ride passing craggy rock formations and beautiful aquatic caves along the way. Brunch will be waiting for us back aboard our boat. We bid farewell to Ha Long Bay, and fly south to Hue, the Imperial City. The former capital of the Nguyen Dynasty is home to palaces, shrines and awe-inspiring architecture from a swath of history. Our private dinner will find us at the historic garden houses of Ngoc Son. The former residence of Princess Ngoc Son, daughter of Emperor Dong Khanh, has been curated by the family for seven generations, everything pristinely manicured and maintained in perfect feng shui. It’s a pleasant escape to a bygone era and a peaceful. delicious end to our first night in Hue. Yesterday we dipped our toes into the incredible history of Vietnam—today is all about diving deep. We’ll get chauffeured in cyclos (modern-day rickshaws) to the Imperial Citadel. Walk in the footsteps of former Emperors through the sprawling complex. Although much of this historic site has been destroyed over the years, the beauty and architectural intricacies still shine through and transport us to a different time. From here, we’ll head to the market—but not just any. Dong Ba Market is the oldest of its kind in Hue. The large red signage is a beacon to walk along rows and rows of locally crafted produce, clothing, souvenirs—and of course authentic Vietnamese cuisines like pho, banh khaoi omelettes and delicious fresh spring rolls. 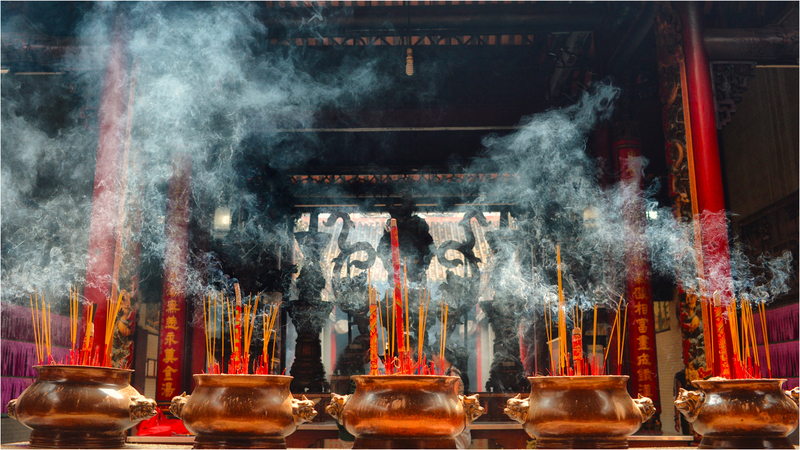 After the market we’ll head out in search of some inner peace at Sac Tu Khanh. 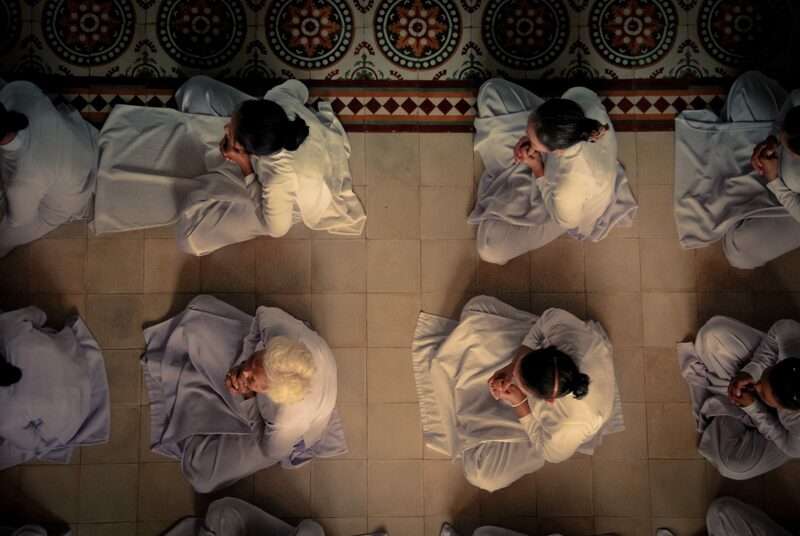 We’ll get schooled in the practices and teachings of Buddha at this 400-year-old monastery and be graciously treated to a traditional vegetarian lunch prepared by our nun hosts. With our eyes opened and minds enlightened, the evening is on our own to seek out more of the authentic staples of the Imperial City. We leave Hue for the next part of our adventure. First up, we’ll get a taste of rural life in the quiet and peaceful Than Toan Village. The local farmers and artisans will show us their traditional processes and teach us about rice farming techniques that haven’t changed that much since the 16th century. We’ll steadily make our way to Hoi An over the Hai Van Pass. The name means ‘clouds over the sea,’ which is a humble way of noting the literal highest pass in all of Vietnam! The summit of this scenic and serpentine road will give us spectacular views of the countryside and coastline. 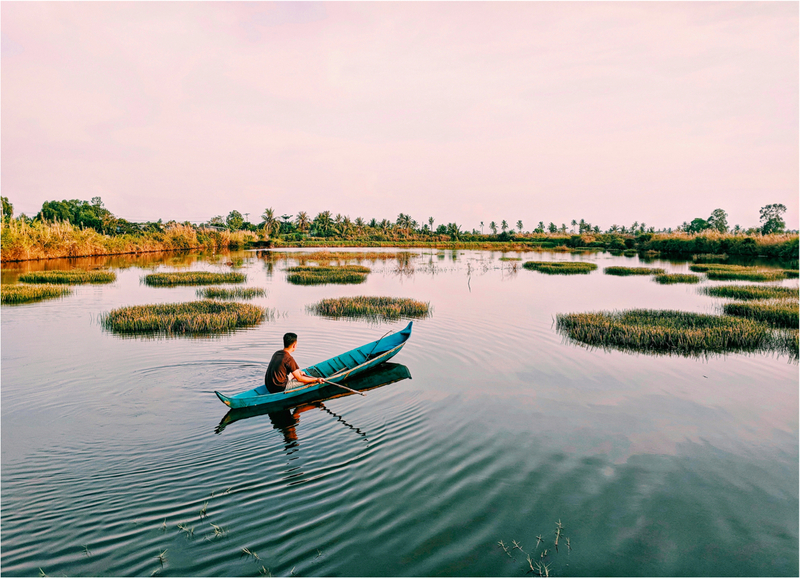 As we continue south, we’ll visit another traditional village, this time to see woven basket boats, fishing methods and to sample the flavors at local markets. Despite all this, the evening is the main event. After a stroll through Hoi An’s historic neighborhoods, Jason will prepare dinner for us, our own private beach barbecue to celebrate our time together with Jason in Vietnam. This is an oceanside feast unlike anything we’ve experienced. Jason will be serving up delectable prawns, scallops and more all grilled to perfection and paired appropriately with wine, beer and a sky full of twinkling stars. 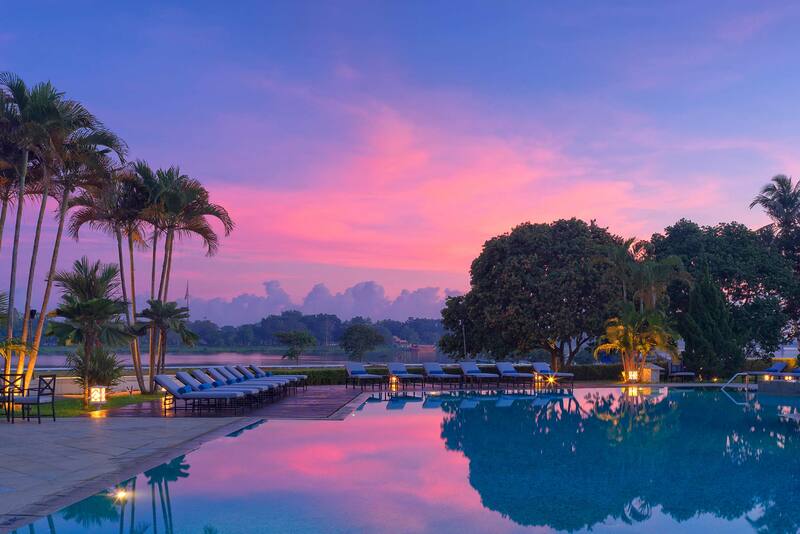 After a jam-packed few days, we’ll take the morning off to explore Hoi An or just kick back poolside at the hotel. Later on, we will convene for a foodie tour the only way to do it: on the back of our own fleet of Vespa scooters (don’t worry, it’s safer than it may sound!). 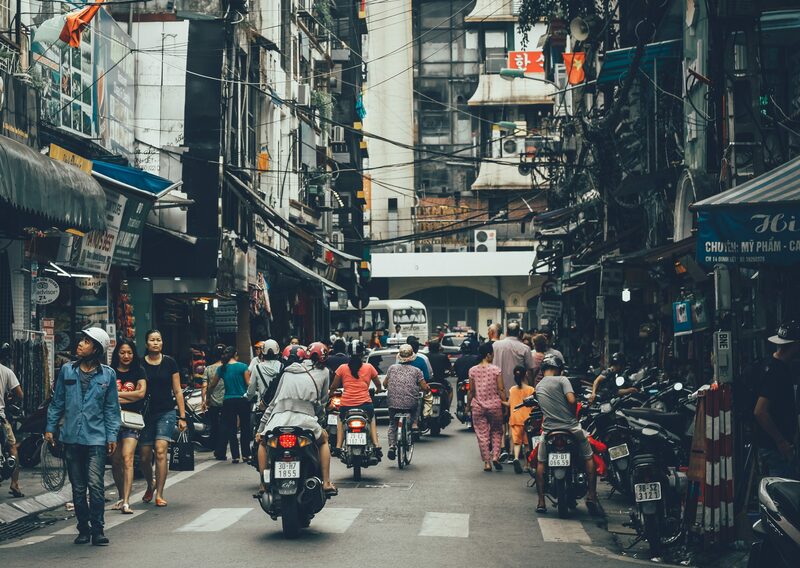 We’ll rev through the bustling streets like locals, sampling delicious dishes like banh can (literally ‘cake soup,’ you can’t go wrong here), white rose dumplings, fried wontons and plenty of refreshing cocktails and beers. After tearing up the streets, we’ll head out for a slow and easy cruise to a nearby island, a world away from the busy scene of Hoi An, to soak in the tropical, laid-back vibe and get us ready for dinner. We’ll channel our inner Jason Neronis at a local restaurant nestled in the rice paddies, cooking up barbecue DIY-style over a charcoal brazier. We might not be pros, but the experience and flavors make it hard to mess this up! 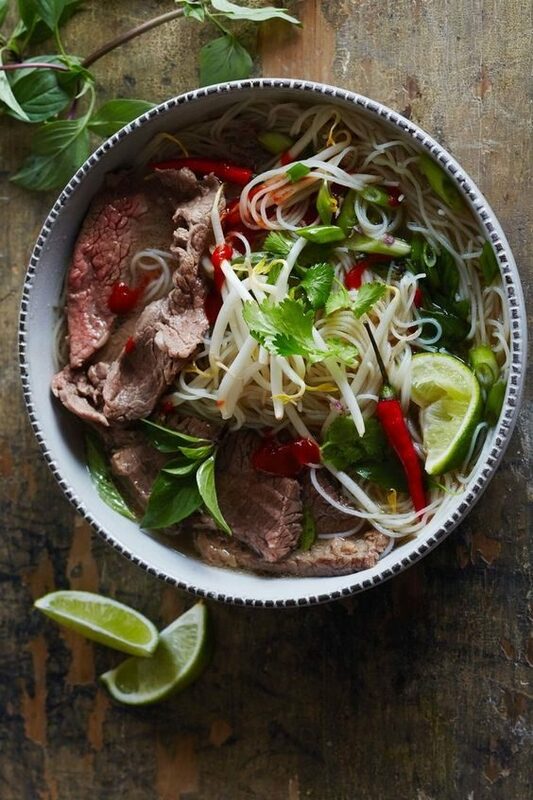 Vietnamese chefs have concocted nearly 2,000 dishes, most hailing from Central Vietnam. We’ll sample many today, as we immerse ourselves with Hoi An’s culinary delights. We’ll savor new ingredients and flavors, sights and sounds, at a few local markets. We’ll browse herbs, vegetables, seafood, even silkworms for sale. With ingredients gathered, we’ll be led by a local chef at a hands-on cooking class for lunch. 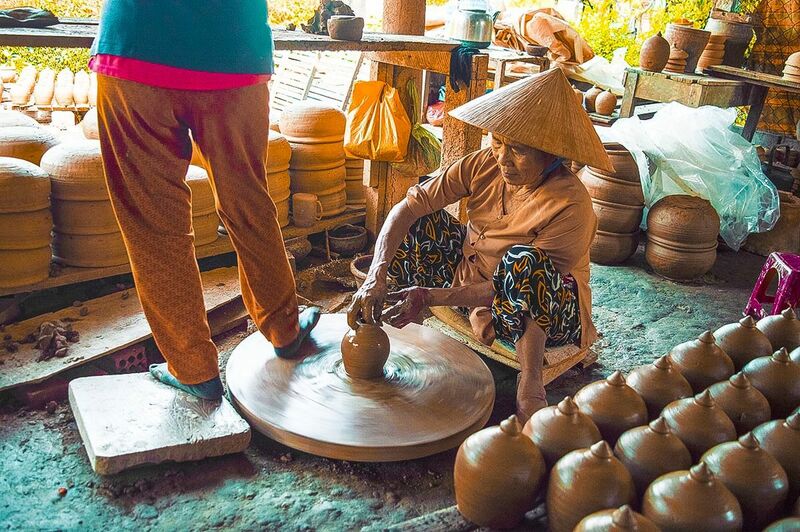 Afterward, we have the option to visit Thanh Ha, a small village and potter’s paradise to check out some of the local pottery and see some of the incredible artisans in action. We convene later in the afternoon to head to the small village of Tra Que, known for being home to one of the oldest herb gardens in the region. Each family plot is meticulously manicured to support the agricultural community. Wafts of basil, lettuce, spring onion, perilla, Vietnamese mint and cilantro will guide us as we wander through and get our mouths watering for dinner. We’ll eat nearby at a local favorite spot for a meal of beautifully constructed fresh ingredients and toast one final time to an amazing experience together in Vietnam. It’s our last day, but no doubt this trip will live on in memory. As we say goodbye to Jason and our fellow travelers, we might have time to make a last dash to the market. 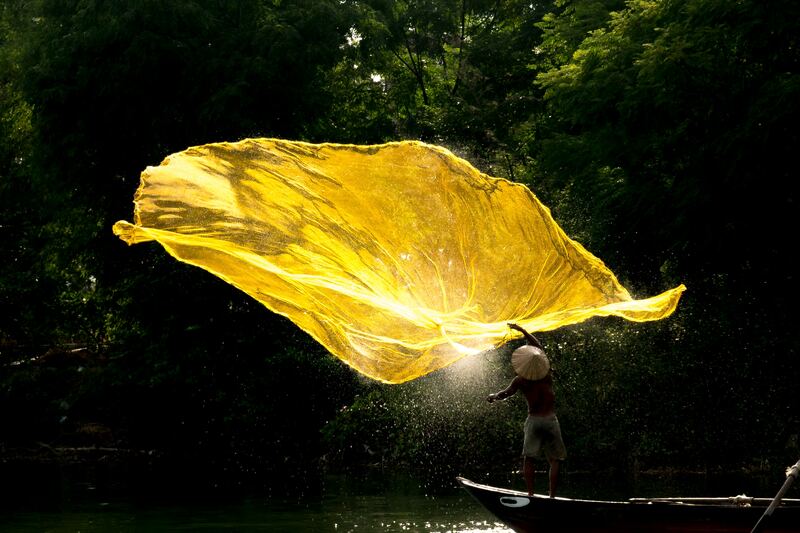 Tam biet to Vietnam—until next time! Our boutique, Old Quarter home base is perfectly situated, a block from the city’s favorite gathering place at Hoan Kiem Lake and the namesake opera house. 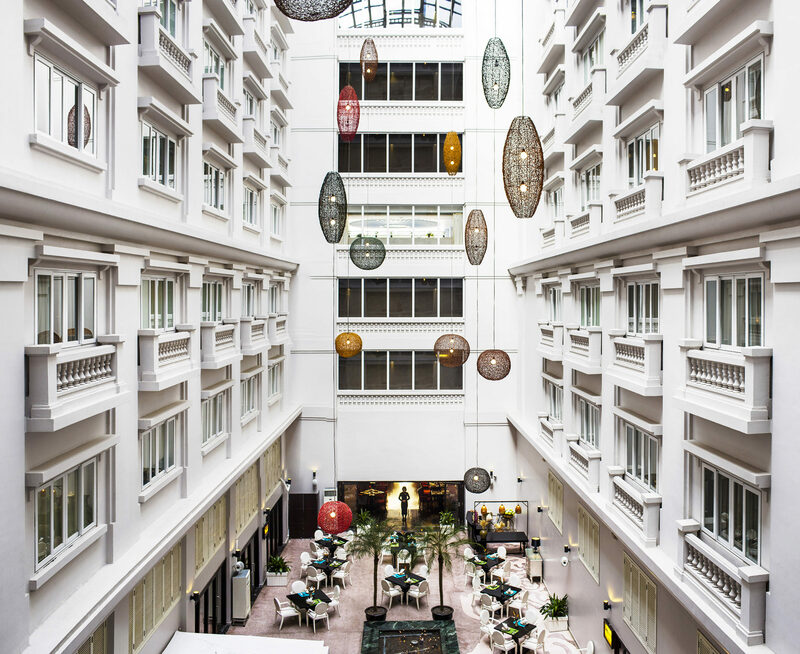 When not exploring the walkable streets outside, you can relax in the pool or have a cocktail in the quiet, fountain-filled atrium. It's our own private floating home on Lan Ha Bay. 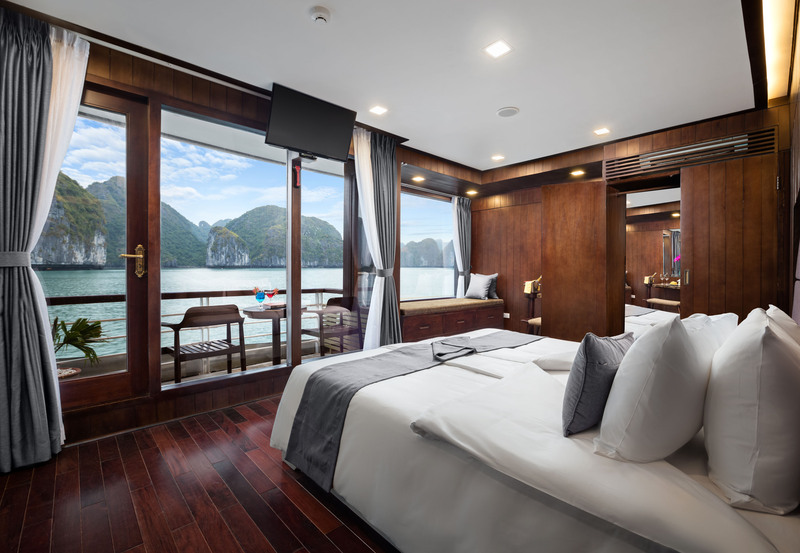 Aboard, the fresh scent of orchids will lull you into relaxation in this quiet, visually stunning section of Ha Long Bay. The boat offers modern-day comforts like spacious rooms, top-tier cuisine and spa services, and will be our aquatic base for activities. An Art Deco masterpiece built in 1930, situated on the banks of the Perfume River. Its stunning architecture embraces the past while incorporating contemporary twists. Whether you choose to kick back poolside or meander through its tropical gardens, La Residence is an absolute oasis of comfort. An impeccable retreat facing the bucolic Thu Bon River and just a stroll away from Hoi An’s ancient Old Quarter. Relax in expansive rooms or at their serene pool, admire their brilliant gallery, or just take in the views from the highest rooftop bar in the city. Eight nights at unique four- and five-star accommodations; private travel for all day trips and excursions; departure transfer; private tours with local guides and cultural experts; exclusive VIP access and tastings; guided activities, adventures and expeditions; entrance fees; daily breakfasts, most lunches and dinners; local beverages with meals; gratuities for local staff. We recommend you arrive Hanoi’s Noi Bai International Airport (HAN) on or before February 8, 2020. You must be at the meeting spot in central Hanoi at 9am on February 9, 2020. 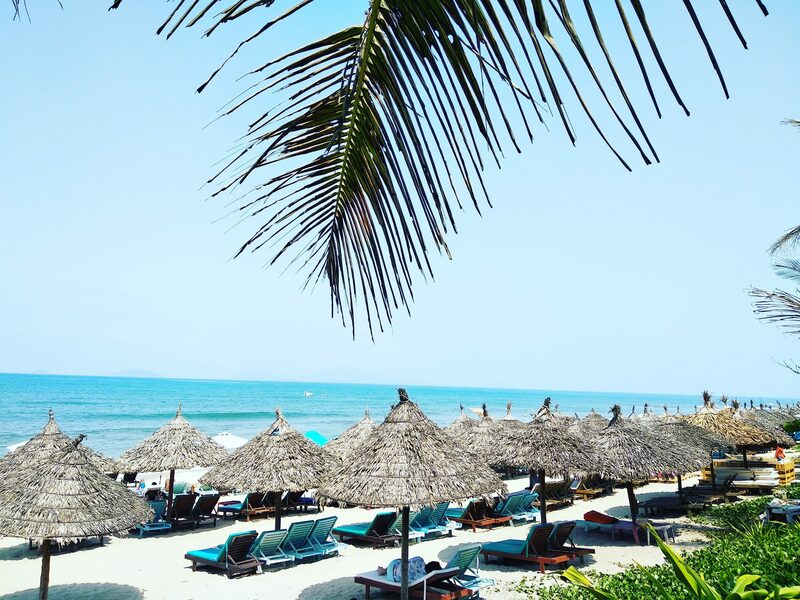 On the last day of our adventure, February 17, we will take complimentary private transfers from Hoi An to Da Nang (45 – 55 minutes) and its Da Nang International Airport (DND). Your onward flight from DND airport can depart anytime after 6am on February 17, 2020. We limit the group to no more than 20 fellow adventurers and your Modern Adventure team. Our experiences are fun and inclusive, and you can expect to be joined by a diverse group in terms of age, background and interests—including solo travelers, couples and friends traveling together. This adventure is recommended for travelers aged 21 and above. This trip is led by an expert Modern Adventure Trip Leader. They are an experienced travel guide, a representative of Modern Adventure and the person to go to with questions or concerns on the trip. We’ll be joined throughout our adventure by local, expert guides who are deeply knowledgable with respects to local cultures, customs and history and are passionate about sharing that with us. We’ll also be joined by special guest Jason Neroni. Pre and post hotel stays and travel experiences may be available. After you book, our concierge team is more than happy to discuss and share options with you. Prices are based on double occupancy. If you wish to share a room, select ‘Single: Willing to Share’ at checkout and Modern Adventure will pair you with a roommate of the same gender. 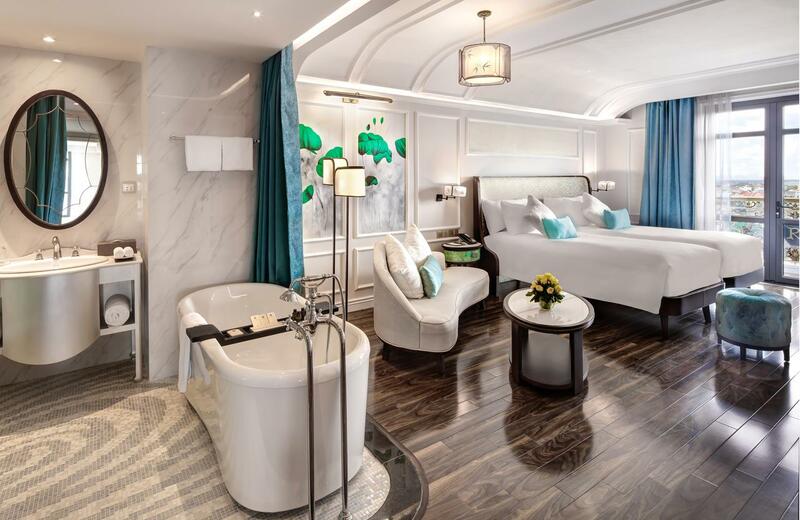 If you are a solo traveler and prefer to have your own accommodations, a $1,200 single supplement will apply at checkout; these spots are very limited and available on a first-come, first-serve basis. We recommend you book as early as possible to secure a single room. U.S. citizens are required to obtain a visa before traveling into Vietnam. 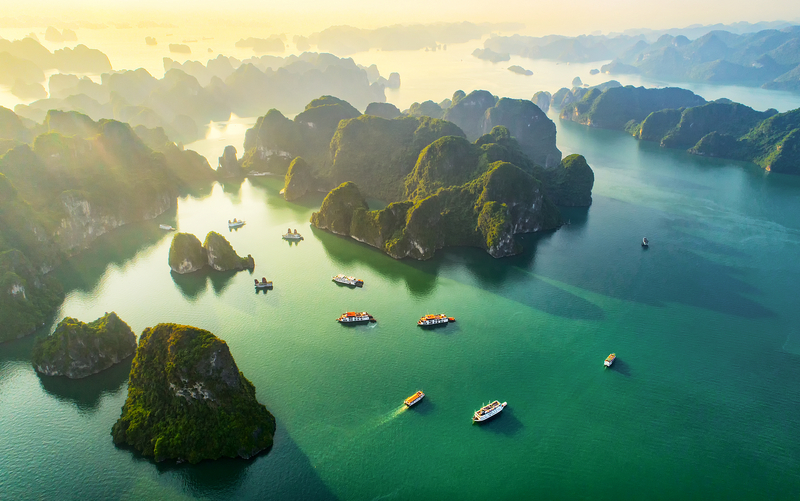 It is your responsibility to obtain this required travel document; please visit the Vietnam International Travel Information page on travel.sate.gov for step-by-step instructions on how to obtain a Vietnamese visa. Additionally a valid passport with at least six months of validity remaining beyond the date of your arrival is required. For citizens of other countries, please check with your local Vietnamese embassy or consulate for information and requirements.